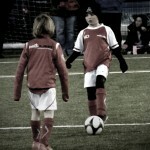 Pro Player Football Academy has had a great impact on my son's footballing development. The coaches are very enthusiastic in teaching the syllabus and making sure each session is fun and at a level that tests the players. Seeing my son take what he has been taught in the academy, into games and into training at his club is a pleasure for him and my myself. 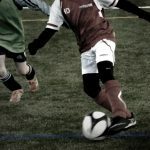 The coaching sessions compliment the learning he has had in professional clubs and has given him the confidence and skill set to continue to enjoy playing at that level. The player coach ratio is an important aspect for myself as is the coach feedback and camaraderie that the players and coaches have together. I would highly recommend Pro Player as would my son who is excited every week to go to training. My son Adam has been attending Pro Player Football Academy since it opened. Adam has always played football and has been a part of many professional teams academies and development centres but loves Pro Player Academy . The quality of coaching received by all of the Pro Player Coaches is second to none, The focused training sessions are skilfully crafted to provide requisite instruction ensuring techniques are developed coupled with a fun filled experience. The Coaches are bringing out the best in Adam every week. The facilities are second to none and with the move to new training grounds it will become even better. Totally recommend Pro Player Football Academy to any young person who would like to develop their football within a supportive, encouraging, positive learning environment. I would just like to thank all of the coaches at the Academy for all the hard work you have put in with Daniel. I have seen him improve so much over the last year, he is confident on the ball, very sharp and reads the game really well. My Son Daniel Duffy had shown good enthusiasm in football at club level. We decided to seize the opportunity and nurture his ability further through Pro Player academy. He initially joined the Development Squad and through the professional coaching and sessions he was identified to progress through to the Elite squad on a trial basis. The thought process in handling this move was well considered with regards to what his feelings would be if he wasn’t quite ready to jump to the next level. It has now evolved where other parents and coaches at his club have acknowledged to me on several occasions the huge progress he has made to his technical ability and all round game. He is thoroughly enjoying his time with the Elite Squad and looks forward to attending. Lucas has been going to the Mini Academy from the first taster session and absolutely loves going. He is always excited to know when it's time to go again. The coaches are brilliant with the children, not only do they teach them new skills and how to be a team player but always make it fun and enjoyable for the children whilst offering lots of advice and encouragement. Lucas also loves attending the holiday camps. I would definitely and have recommended Pro Player to anyone! My son Brandon's been at the academy from the start and absolutely loves it. The coaching is absolutely fantastic especially from his goalkeeper coach Mark Goodlad who shows nothing but support to all the boys. Brandon is now a signed GK for Barnsley fc academy thanks to all the help and support from Pro Player. I would recommend any young footballers to attend Pro Player Football Academy. 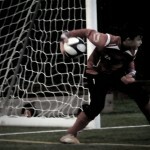 My son James is a keen goalkeeper and has great enthusiasm for the game. He was lucky enough to be one of the original selections by David and John, and I can safely say he has enjoyed every minute since the day he joined. The level of training is intense and focused, and the atmosphere is always calm and happy as all the coaches have a self assurance which transmits to the players The goalkeeper coach, Mark Goodlad has brought a new level of learning and discipline to James. His sessions are deeply thought out and brilliantly structured, and I have watched all the keepers in James' group develop extremely well. David and one of his fellow coaches, Lewis, came into our primary school to deliver a taster day to our children in Reception, Year 1 and Year 2. The sessions were perfectly aimed for the age groups of our children and the children were kept on their toes from the minute they started their session. It was clear that the coaches could pinpoint the ability levels of all of our children and provided activities that engaged them all plus appropriate challenge for our more able footballers. The sessions were fast paced and included a range of exciting activities based around football but also developing control, co-ordination, agility and strength. The children thoroughly enjoyed the sessions and are asking when they can do it again! I would definitely recommend Pro Player Football Academy for anyone with young children who have an interest in Football! A priority at Kettlethorpe School is that every pupil gets the very best quality of education during their five years at the school with great importance attached to extra-curricular activities. When we first met with David McGurk and John Mccombe it was very clear that we were dealing with two incredibly professional people who shared this vision and had the capacity to deliver a high quality coaching programme both in and outside school. 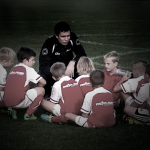 Our pupils have thoroughly enjoyed the opportunity to be coached by the highly skilled and professional coaching team. They share our ethos when dealing with young people and are able to bring out the very best in the players. The coaches are excellent role models and have a deep understanding about the different types of players and managing their expectations. Furthermore Pro Player respect the fact that they are working in a school environment and protect all our facilities and equipment as if it were their own.